CHOPPIES Zimbabwe managing director Mr Siqokoqela Mphoko has scooped Zimbabwe National Chamber of Commerce Manager of the Year award, confirming his reputation and skills in managing one of the fastest-growing retail chain stores in the country. The awards were held in Bulawayo early this month. Mr Mphoko told Sunday News that he was greatly humbled and delighted to have been presented with the prestigious award. "I wasn't expecting it, it is indeed a great honour, ZNCC is a reputable institution and being given such an accolade has inspired me to strive to achieve and perform even better. This award was made possible through a singular effort by a team - the Choppies team," he said. Mr Mphoko in 2015 won the same award. He said that many people have questioned how he has managed to steer the Choppies boat at a time when the economy was facing a number of challenges. "Zimbabwe is a conducive business environment, if you put your systems in order. It can be done and achieved. There are vast opportunities in our country that can be tapped into if you set your priorities right. Look at how we started off, in 2013 we had just eight shops but today we are talking of 32 shops countrywide and we are not stopping there. We are the new kid on the block and are giving our competitors a good run for their money," said Mr Mphoko. In line with the vision they would soon be opening another branch in Bulawayo's affluent Parklands suburb. ". . . It is a milestone achievement, we had nothing in the suburbs and now we have a new market to cater for. We have confidence in our Zimbabwean Government, consumers and market," said Mr Mphoko. He said Choppies would ultimately have branches located in every city and town in Zimbabwe. 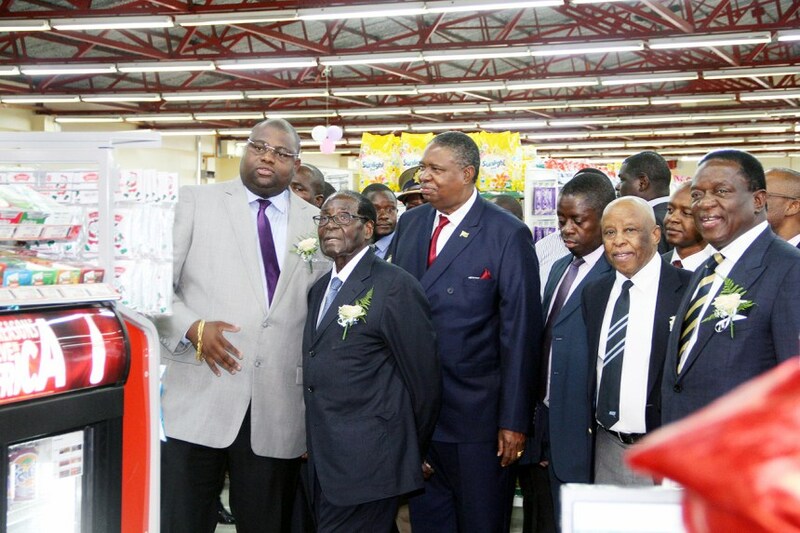 Mr Mphoko also said that Choppies was a big supporter of the Buy Zimbabwe initiative. "95 percent of our products are local, we support our local manufacturers and suppliers and we are a strong believer in that. By so doing we are empowering ourselves and creating employment for one another," he said.